Sporting Flyswatter Great for outdoor, sports themed events. 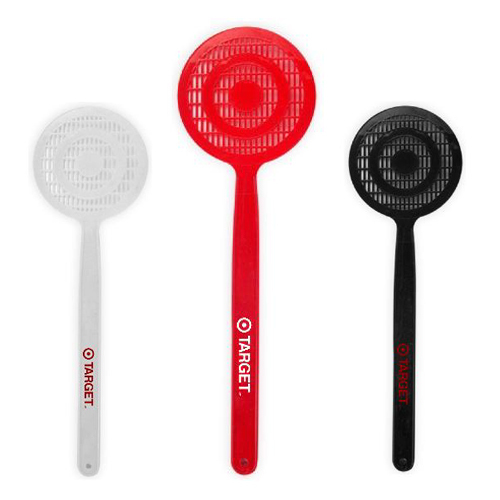 16" Flyswatter with printable target swatter head. Bulk / 22lbs lbs / 250 pcs. / 17"(L) X 14"(W) X 10"(H)box.